Thank you for making our day so special! The service you helped us put together, along with gorgeous photographs you took have created such special memories for us. Our special day was enhanced by your vision and grace. Our friends and family said the ceremony was the most beautiful they had ever attended. The content and flow of the ceremony was perfect. The photos and DVD you put together were high quality and a stunning way to remember our day. Thank you for all you put into our wedding! We couldn't have found a better person to marry us and help us remember our special day! We will be back for a re-committment ceremony next year. Save the date! We'll bring the cake! And please use us as a reference any time. Blessings to you! We received the CD yesterday! I brought it to work today, and have already shown it to all my friends and co-workers! 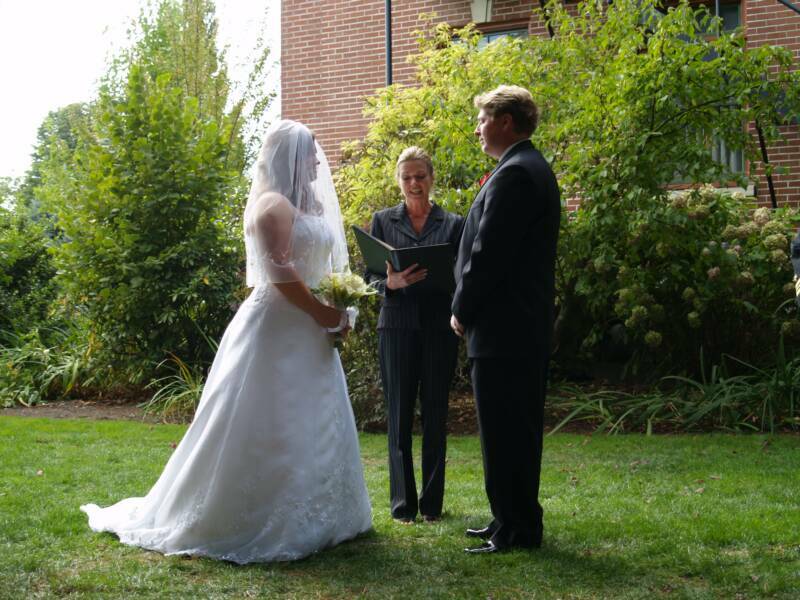 We had a perfect day at your place-- we're so glad we found you to officiate our ceremony. Take care! 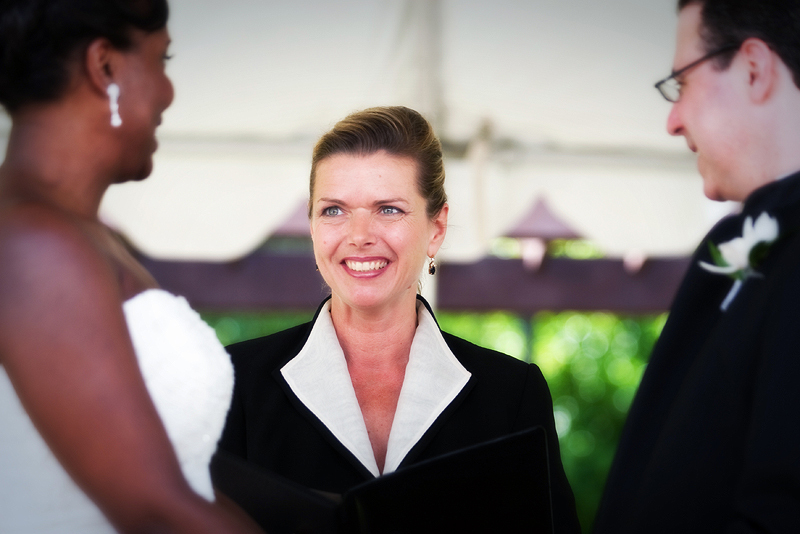 We'll be sure to pass along your information to any of our friends who may need an officiant! I am glad you were able to be apart of our big day, you did great! Thank You for such a wonderful and beautiful ceremony, I thought it went just perfectly. Thank you also for your help with the license. I received the CD today and it is awesome!! Thank you for making our special day so wonderful. There wasn't a single thing we would change. wedding they had ever attended. Please don't change a thing! perfect timing. Thank you for the best day of our lives!!! Short, sweet, meaningful and moving! I just wanted to say thanks again for doing the wedding. Everything was great and the decorations you had were beautiful. It couldn't have been better. We loved both of them (CD & DVD), but especially the DVD. You seemed to capture the essence of the place, the people and the ceremony in the images, the flow, and the choice of music. We are highly pleased, and you seemed to do it without disturbing the mood of the moments at all. Like a raindrop that falls into a pool of water but leaves no ripple! Thank you so much for being our celebrant and photographer. We would highly recommend you! The CD and DVD of our wedding were absolutely beautiful! Andrew and I are so pleased with the ceremony you gave and we are thrilled with the photos. I wanted to let you know that we had a number of comments about what a wonderful job you did. Many folks wanted to know where we found you and so we have passed your information on to all who asked. We will definitely recommend you in the future. Thank you so much for the beautiful ceremony! Bev, again I wanted to thank you for an absolutely beautiful ceremony and reception! You made what I thought to be a simple wedding into a remembered affair. Your attention to detail, guidance and professionalism was outstanding. You went above and beyond and it is truly appreciated! I couldn't have done it without you. Being new to the area I felt lost as to where to begin. You made Scott and I feel at ease. The way you catered to Christin, our flower girl was so sweet. I believe you should consider becoming a wedding planner. No one would have known we were your first! You definitely have a gift! I can not begin to tell you how grateful I am that I found Bev!!! My husband is from Oregon and I am from Philadelphia. We were trying to come up with a wedding plan that wouldn't cost us a fortune, but still be a memorable one. This was no easy task for me, considering I was new to the area. Bev took on the challenge. She became our wedding planner! Bev found the perfect location, provided the decorations, the arch, the table arrangements, found and booked the violinist and pianist and the photographer. She even helped with the programs making corrections via email. The most amazing part of it is she was able to do this in under two weeks!!!! Our wedding ended up to be more than we could have dreamed. Bev made sure all of our six children played a special role in the ceremony. Every thing was perfect!!! I would recommend Beverly Mason to everyone. She truly has a gift and her attention to detail is impeccable. I could not have been happier with her serves and professionalism. tailored our ceremony and embellished with elegance. What a wonderful person, we highly recommend her. Bev did such a great job performing our wedding for us along with her beautiful photography that i still to this day get compliments on. she came through with her photography when we needed you the most, and thank you once again for all the great work you have done for us..
Bev is the best! She was very flexible when we asked her for a last minute change of plans. She was very professional in her business conduct, her dress, her service and her photography. She listened to us as a couple and incorporated all the things we wanted into our ceremony. In addition, she takes gorgeous photos and prepared a beautiful, bound wedding book for us. We couldn't have asked for more. I would never hesitate to recommend her for any wedding. She helped make our day perfect! Thank you, Thank you, Thank you!! I told him it was just going to be short and sweet.. Then we just couldn’t stop talking about how put together your words and ceremony was.. We loved it! I just wanted to write to you and thank you for such a beautiful wedding ceremony! 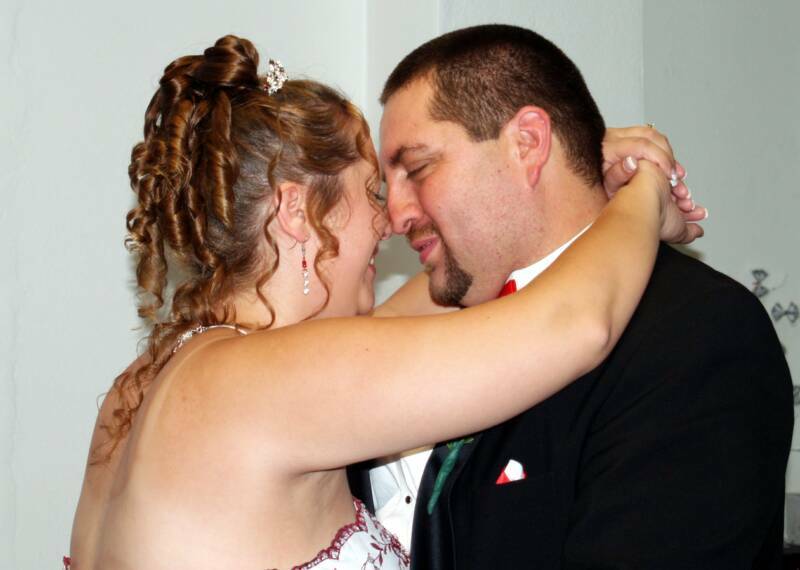 Everything went perfect and was wonderful for the 08/08/08 wedding! ..thank you for doing such a nice ceremony for us on Saturday. I know it was pretty non-traditional and I really appreciated having someone who would help us make it something that we wanted. Beverly Mason did an exceptional job as the officiant for our wedding. She met with me and my fiance a couple times before the wedding, and we had several email exchanges to firm up the ceremony outline. She was very accommodating to our style of ceremony and requests. She was very personable, organized, friendly, fun, and did an outstanding job! I highly recommend her! We would definetely reccomend Beverly. She has a fun personality to work with and does a great job at what she does. making our wedding day so incredible and wonderful! Bev flew out from Oregon to Austin, TX for our wedding. Not only did she listen to me complain and freak out for months before the wedding, but she had great advice and recommendations. The ceremony was exactly what we wanted. She customized it to fit our personalities. She took control at the rehearsal, even though we had to practice elsewhere due to high winds, and made sure everyone knew what they were doing. She even wrote out queue cards for the music and direction people. And to top it all off, she gave us a copy of our ceremony on pretty bond paper so that we always remember our vows. Bev also took pictures for us at the wedding, even though we hired a photographer from Austin. Bev was able to catch all the fun and candid shots throughout the entire weekend. Honestly, we couldn't have asked for a better officiant and friend. She came through for us and made our ceremony so special. Our plan to interview six wedding officiates took place at various Starbucks locations. Even in our caffeinated states that intensified through the day, we were extremely clear headed when we knew who the perfect one to perform our wedding ceremony was: Beverly Mason. When we met Beverly, we were drawn to her immediately. She had one of those life stories that you love to read about that inspires you to go for what you love to do. 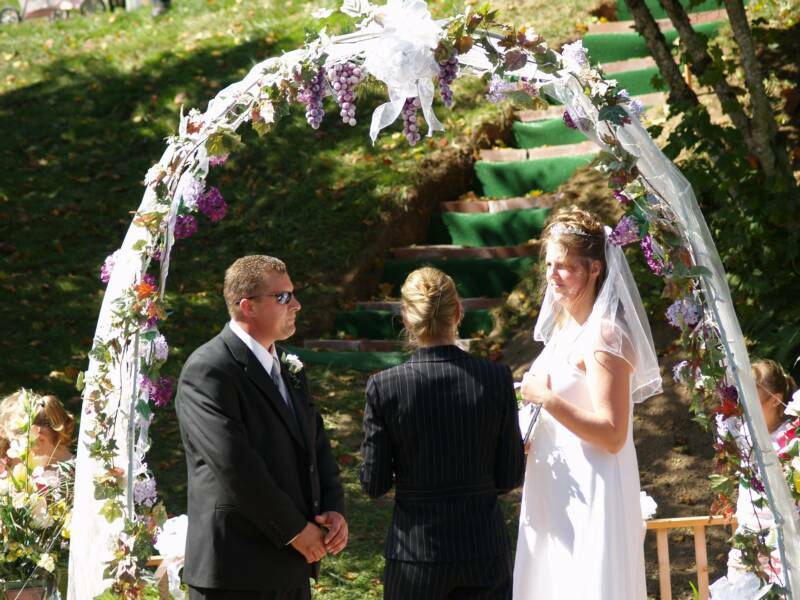 Out of pursuing her dreams, came the opportunity to provide people her services as a wedding officiate. 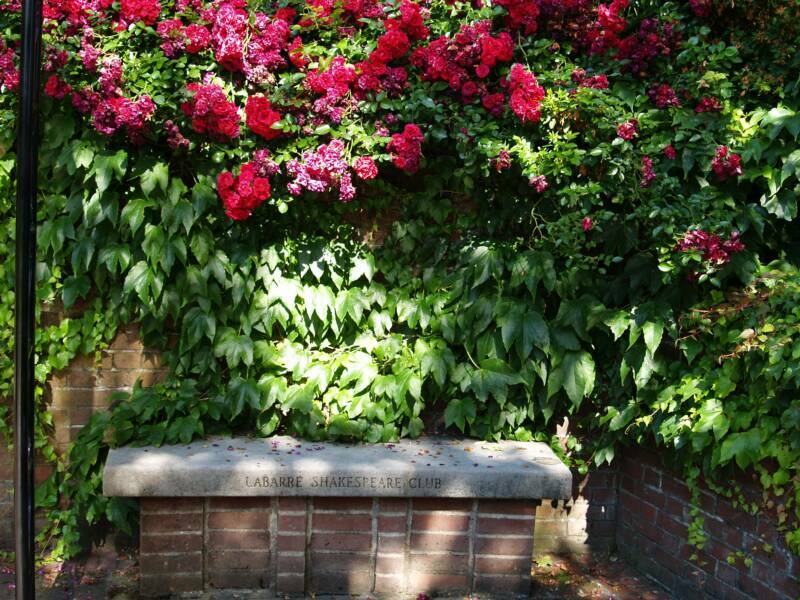 As she told us her story, we laughed, we smiled, and we nodded and smiled again. Beverly has such a great smile and so many unique ideas about ceremonies ~ specifically how to blend two different backgrounds into a perfect prayer. Her sense of humor mixed with her exquisite style gave us the most beautiful wedding ceremony. 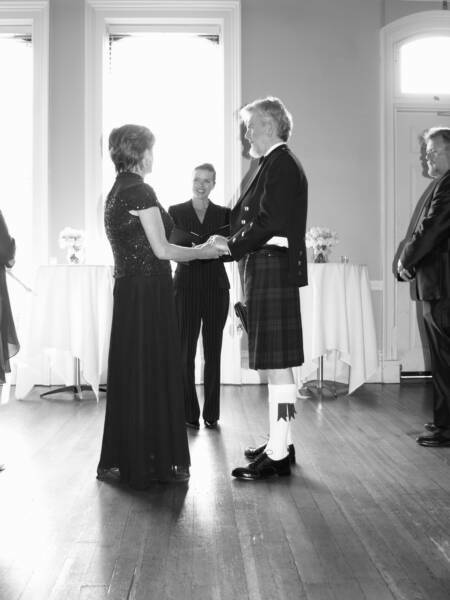 Beverly worked right along side of us, blending our very different backgrounds into a ceremony that brought tears and laughter from those who were attending. We highly recommend Beverly Mason ~ we were thrilled to have her be there “directing” our day. 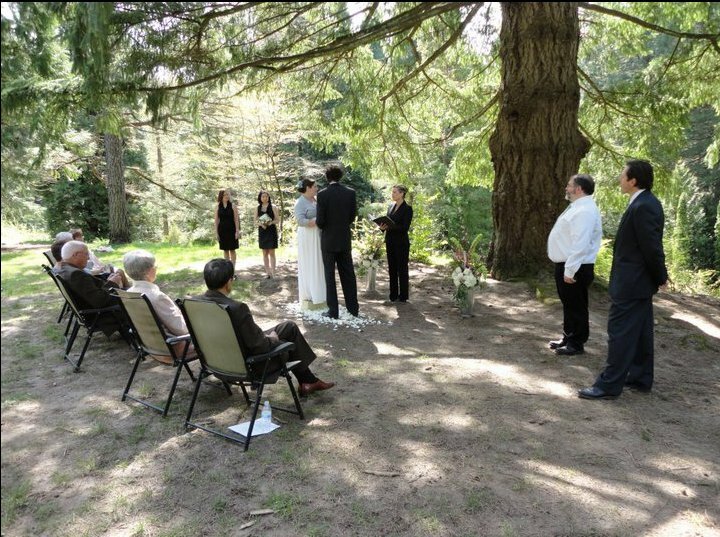 Wedding officiant make you comfortable? Why or why not? Beverly is outgoing and very very personable. She truly loves what she does and it shows in her eagerness and excitement in creating her ceremonies. How did you personalize your wedding ceremony? We wanted a modern handfasting and she gave us all the info and ideas we needed as we wanted to construct our cords. (She offered to do them for us as well) There were also elements we changed from her ceremony that she was more than enthusiastic to accommodate. Favorite wedding ceremony comment from guests? EVERY guest I spoke to asked where we found her and told us how happy they were that they could hear her. As she is a beautiful woman, I even had a friend ask if she was single! Thanks again and I wish you a stress-free wedding season!